Andrea Proske of Victoria and Gabrielle Smith of Unionville, Ont., won their heat in the women's double sculls, while Carling Zeeman of Cambridge, Ont., finished first in a women's single heat on Monday at the world rowing championships. 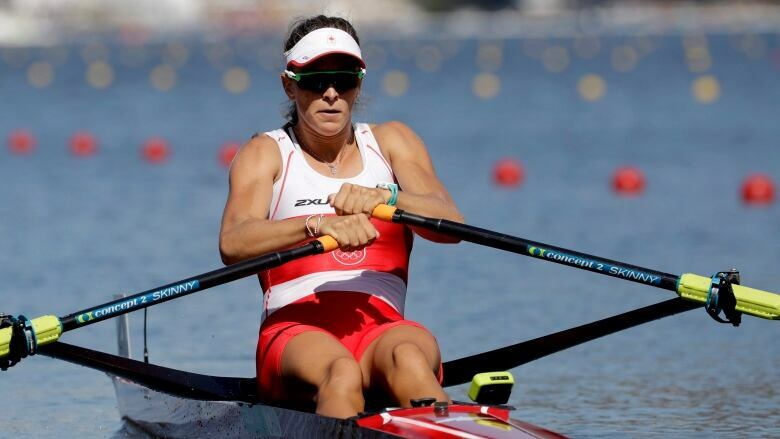 Two Canadian crews won heats on the second day of the world rowing championships. Andrea Proske of Victoria and Gabrielle Smith of Unionville, Ont., won their heat in the women's double sculls, while Carling Zeeman of Cambridge, Ont., finished first in a women's single heat on Monday in Plovdiv, Bulgaria. Proske and Smith, coming off a silver medal performance at the World Cup Lucerne in June, were making their world championship debut. They now advance to the semifinals on Friday. "We've increased out training time significantly since Lucerne and that has definitely helped build our relationship and trust as a team," said Proske. "It's nice to get this first race done and focus on the plan for the rest of the week." Zeeman won bronze at the World Cup Lucerne. Meanwhile, the Canadian Para PR3 mixed coxed four team of Victoria Nolan, Bayleigh Hooper, Andrew Todd, Kyle Fredrickson and coxswain Laura Court finished second in their heat and goes to a repechage on Wednesday. Jeremy Hall also heads to a repechage after finishing third in his PR2 men's single heat. The women's four, featuring Jessie Loutit, Karen Lefsrud, Kendra Wells and Larissa Werbicki, finished fourth in a heat and will go to a repechage.